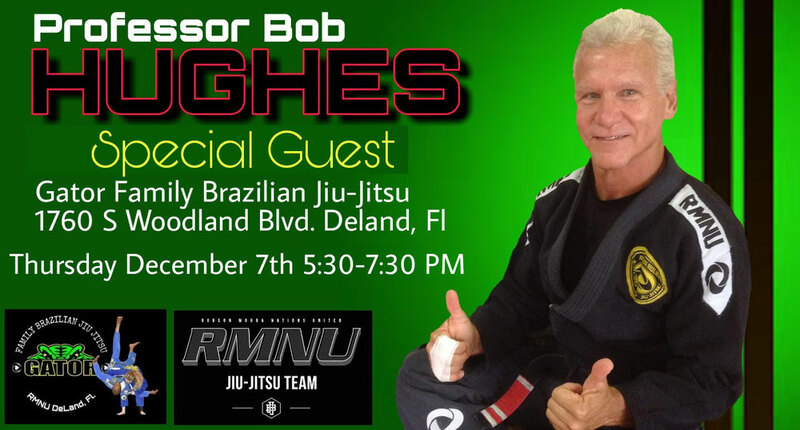 Free seminar with Professor Bobby Hughes tonight - Gator Family Brazilian Jiu-Jitsu, DeLand Fl. Join us tonight from 5:30-7:30 as we welcome special guest Instructor Professor Bobby Hughes. He has generously waived any fees to help you get better at Jiu-Jitsu. Don't miss this exciting free event! Open to kids and adults.